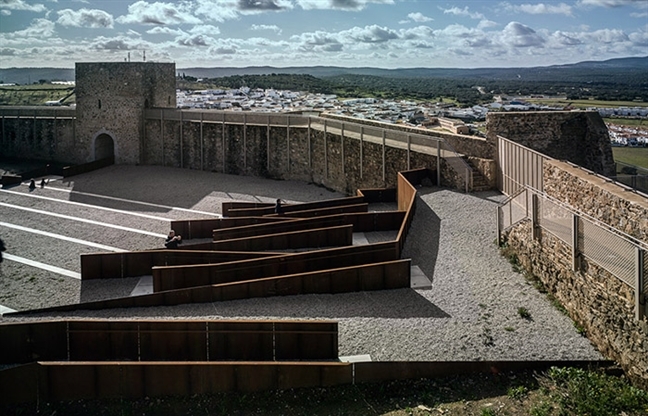 The intervention takes place in the “Castillo de El Real de la Jara”, a fortress dating from the 14th century, located on the highest point of the hill right north of the village, in the county and Natural Park of the North Range of Sevilla. The commission was made by the Diputación Provincial de Sevilla, and has been funded by the FEDER Operational program for Andalucía for Sustainable development and social cohesion project for the North Range and South Range of Sevilla. 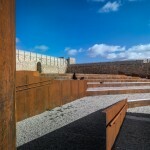 The castle courtyard has few historic remains of very little value localized on its northwest corner, though the fortress had a strategic situation, on the “Banda Gallega”, a defense line built to protect the south from possible portuguese invasions. 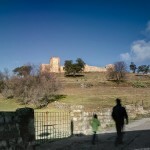 This line can be still perceived through the visual connection with the nearby castles of Cala and Santa Olalla del Cala. 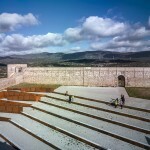 The main factors of our design approach were an extremely tight budget, the preservation of the heritage character of the castle, total respect to the previous interventions -despite their quality or value-, bringing the inmaterial property back to the village and guaranteeing the use of the castle as a gathering place for its people. 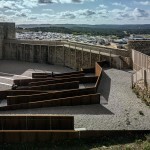 To minimize the intervention, in the design we took profit of the natural steep grounds of the castle formed by the natural rock substrate and the preexisting spatial structure the castle doors and walls gave, with just two series of retaining walls to enable the use of the space. 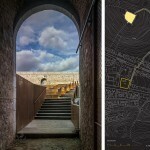 The intervention becomes a new public square, the castle walls as urban fabric, the doors as street-like entrances, the interior a place to enjoy. A new urban space surrounded by nature. Project name: EERJ. 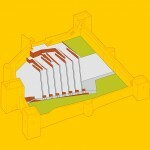 Adaptation of the inner ward of El Real de la Jara Castle. 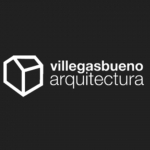 Design and Construction Management: Miguel Villegas Ballesta, MSc Architect. 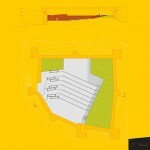 Design Co-author (no signature): Lourdes Bueno Garnica, architect. Construction Company: Construcciones Francisco Manzano S.L. Client: Diputación Provincial de Sevilla. 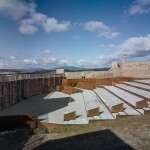 PROYECTO DE OBRAS DE ADECUACIÓN DEL PATIO DE ARMAS DEL CASTILLO DE EL REAL DE LA JARA. “Proyecto de desarrollo local y urbano de la provincia de Sevilla: Programa operativo FEDER de Andalucía 2007-2013” Proyecto de desarrollo sostenible y cohesión social de la Sierra Norte y Sierra Sur de Sevilla.